Since its inception in 2001, Hope Children’s Hospital has provided healing and top class treatment to children across India. Hope’s founder, Dr. Madan Mohan Rao, is a pioneer in child healthcare in Hyderabad – he was the first doctor in the city to use surfactant treatment for new borns, and was the first to ventilate a neonatal child. More recently, at Hope, he started the city’s first growth clinic to help children of short stature grow to their full potential height. 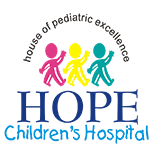 Today, Hope Children’s Hospital provides specialty and sub-specialty care, and houses full fledged inpatient and outpatient facilities. The In-Patient facilities include a state of the art tertiary Neonatal Intensive Care Unit, Pediatric Intensive Care Unit, Emergency/Casualty Center, Operating Theatres, and In-Patient Rooms and Wards. The Out-Patient services include consultations in general pediatrics, pediatric super specialties such as cardiology, neurology, nephrology, orthopedics, endocrinology, ENT, dermatology, pediatric dentistry, child development, and nutrition. We are committed to providing the best healthcare to children. Vision: Where are we heading? Hope Children’s Hospital will be recognized as one of the premier centers for pediatric care in the country. We will achieve this by focusing on the latest advances in medical treatments, through experienced, compassionate doctors who are skilled in diagnosis and treatment, and by constantly training our staff and educating caregivers on child care. Values: What do we believe in? Placing the needs of our patients and their families first. Continuously striving for excellence in all that we do. Having genuine concern for our patients, staff, and our community, and dealing with them with respect and empathy. Dealing ethically and fairly with our patients, staff, suppliers, and other stakeholders.